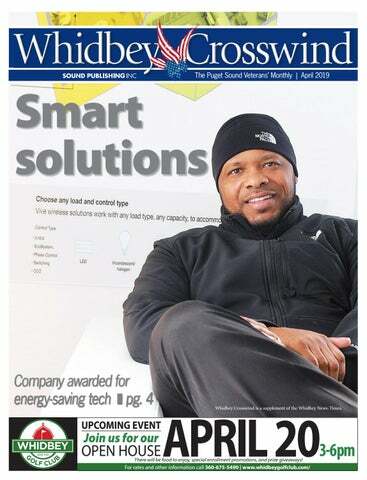 Whidbey Crosswind is a supplement of the Whidbey News-Times. There will be food to enjoy, special enrollment promotions, and prize giveaways! ervice has opened the door to homeownership vice has Your opened the door homeownership service has Your military service hasopened openedthe thedoor doorto tohomeownership homeownership Your military service has opened the door to homeownership payment loanmilitary options andtoeasier qualifications. payment with loan options and easier qualifications. payment loan withlow lowdown down payment loanoptions optionsand andeasier easierqualifications. qualifications. with low down payment loan options and easier qualifications. refinance » Flexible payment options efinance » Flexible payment options »»» Flexible » Purchase or refinance Purchaseor orrefinance refinance Flexiblepayment paymentoptions options »» Purchase Flexible payment options yment » Low closing costs that may ment » Low closing costs that may»»» Low »»» No Nodown downpayment payment Lowclosing closingcosts coststhat thatmay may No down payment Low closing costs that may be paid by the seller mortgage insurance required be paid by the required seller be bepaid paidby bythe theseller seller ortgage insurance required »»» military No private mortgage insurance No private mortgage insurance required be paid by the seller No private mortgage insurance Your service has opened the required door to homeownership with low down payment loan options and easier qualifications. VA home loan expert to find out more! A home loan expert find out more! Call your VA loan out Call yourlocal local VAhome home loanexpert expert tofind findpayment outmore! more! » Purchase orto refinance » to Flexible options Call your local VA home loan expert to find out more! alaskausamortgage.com A name you trust. name youPeople trust. you People youknow. know.AAAname nameyou youtrust. trust. People you know. name you trust. support of Operation Deep Freeze. The annual mission supports the National Science Foundation, lead agency for the United States Antarctic Program. That program — which includes conducting research and fostering international cooperation — bolsters U.S. goals as part of the Antarctic Treaty, signed by 12 nations in 1959. WHAT IS YOUR VINTAGE JEWELRY WORTH? landscaping. For his final 18 months in the service, he was based close to home — on the 82-foot cutter Point Duran, which was moored near the old Everett Yacht Club. The Coast Guard noted that the United States maintains just two icebreakers, the 43-year-old Polar Star and the Healy, a medium icebreaker. In contrast, it said, Russia operates more than 50 icebreakers, some nuclearpowered. Boblet said the Staten Island was one of several Wind-class icebreakers. He’d like to see the Coast Guard equipped with more today. And he has another idea. “I think we ought to bring the icebreakers to Everett,” Boblet said. Dennis Boblet shares memories of his Coast Guard service aboard the icebreaker Staten Island. WORKING WITH THOSE ACTIVELY SERVING OUR COUNTRY. You are serving bravely for our country… now you’re ready for a new home. We understand your situation and have the knowledge to make the most of every selling and buying transaction. YOUR FULL SERVICE FINE JEWELRY STORE FOR OVER 27 YEARS ON PIONEER WAY IN OAK HARBOR! n Oak Harbor businessman’s international efforts to save on energy costs and the environment began in Oak Harbor. In his spare time, he worked in his garage trying to perfect methods for energy conservation using technology already available. He settled on an integrated heating, cooling and lighting system to increase energy efficiency. Essentially, he wanted to take the human error out of energy consumption. “The solution came out of many years of testing in my garage,” Rick Rennes said. The local business owner and retired chief petty officer was recently recognized in Trinidad and Tobago for his work in energy management. He said his upbringing in the Caribbean inspired him to pursue the field. He witnessed both a need for less expensive energy and practices to reduce the use of fossil fuels. Growing up, he had limited access to computers, but technology always sparked a strong interest in him. Despite his limited experience, Rennes scored highly in aptitude tests related to technology when he joined the Navy in the late 1980s. He went on to work in IT, data processing and intelligence for 11 years until he left the service in 1997. He and his wife Louann decided to settle in the city of his last duty station, Naval Air Station Whidbey Island. In 2001, he began Network Solutions+, which offers IT support to local businesses. Occupancy and daylight sensors automatically turn on the lights and adjust their brightness. The heating and cooling system also uses the sensors to switch on when people enter the room or off when they leave and use temperature monitors to establish how much hot or cold air should be used to keep the room comfortable, he said. He said the system adjusts on a “minute-by-minute” basis. “The buildings run autonomously,” Rennes said. “It guarantees no one forgets to turn off the AC or the lights.” His company, Information Technology Energy Management (ITEM), made such a significant difference for one of its Caribbean clients that the Energy Chamber of Trinidad and Tobago awarded it the “Best Green House Gas Reduction Project.” “And we expect to win again in 2019,” he said. The award highlighted ITEM’s work with a large insurance company that had resulted in a $1-million decrease in energy expenses during 2018, Rennes said. The integration of the company’s lighting and air conditioning services also resulted in an estimated reduction of 250 tons of carbon over six months, he said. Rick Rennes, a former Navy man, started his technology company at his home in Oak Harbor. After perfecting his methods in the Caribbean, Rennes brought his company’s operations to Washington state in 2015. In his Oak Harbor office, the technology is on display for both office and home environments. He has lights that are controlled either from a smart phone or a smart speaker — meaning Siri or Alexa can turn on, off or dim the lights. The smart technology can also control the blinds and light fixtures, which will adjust depending on how much natural light enters or leaves the room and what the user’s preferences are, he said. Rennes said he and his wife have enjoyed living in Oak Harbor since his departure from the Navy. In addition to his work in eight countries in the Caribbean, Rennes has offered his services to local offices, such as Coldwell Banker Koetje Real Estate. “It was a great place to raise a family,” he said. it provide financial education to those who have served? tary discounts and repayment plans that are flexible. benefits of military service are the tax breaks. Make sure you leverage all the tax breaks available to you and your family — from exclusions offered to those serving in combat zones to moving expense deductions to job search cost deductions when you re-enter civilian life. Members of the Catholic congregation at Naval Air Station Whidbey Island say they are heartbroken that services will end after 77 years. “My daughter received her first Holy Communion there and I was hoping my younger son would as well, but now that is no longer possible,” April Allen said. “I will miss the kindness and understanding of the community, where support is given to those who serve our country.” The Archdiocese for the Military Services and the Navy recently announced that services will no longer be held at the base chapel because a willing priest couldn’t be found. The chapel hasn’t had a priest since Nov. 1. In a statement, the base pointed to the nationwide shortage of priests. Dan Olvera, a retired Navy man, said many in the congregation of about 200 feel abandoned by the decision makers. He’s been part of the congregation for more than 20 years. “Most of us feel they have not done all they could to find a priest,” he said, adding that quitting the search is just the easy choice. unable to find a priest willing and able to fulfill that contract,” the Navy’s statement said, “and due to a significant shortage of Catholic priests nationwide, we do not expect to see an (active duty) Catholic priest assigned to the base for the foreseeable future.” A decline in the number of men entering the priesthood has led to a priest shortage, with fewer men entering the priesthood than retiring, according to the Los Angeles Times. Pope Francis has cited demographic changes, scandals in the church and cultural trends as reasons for the shortage. The Navy said that it has worked with the Archdiocese for Military Services to ensure that the Catholic parishioners are provided care by civilian churches. There are four Catholic churches within a 45-minute drive of the base chapel, including St. Augustine in Oak Harbor. In addition, the Navy pointed out that there are four other chaplains on base who will continue provide a wide-range of family support services to all denominations and faiths. The Navy explained that the base operated under a contract to provide Catholic service since 2004. The contract was intended to serve as a “stop gap” only until an active-duty priest could be found, but the contract endured for 15 years. Parishioner Elaine Morgan, however, said her family moved 17 times when her husband was active duty. They often felt unwelcome in community parishes when there was no chapel on base because people knew Navy families wouldn’t be there more than a few years. Members of the Catholic church at Naval Air Station Whidbey Island take part in Ash Wednesday. find a Catholic community on the military base,” she said. “We know this is also true for active duty families today.” Morgan also said she’s concerned for people who live on base and have no transportation. 40 years, the parishioners hosted “Barrack Dinners” for the sailors. “I’m still praying for a miracle that our church will reopen,” she said. tary members with dynamic lives. Coldwell Banker Tara Properties is proud to offer Whidbey Island homes and relocation services. Call or email for the latest information available. Our experienced brokers will be happy to help. *Up to $550.00 of your closing costs will be issued as a Lender Credit at the time of loan closing. Valid only on secondary market residential real estate purchase and refinance loan applications received and closed through Stacy Warner at Bank of the Pacific. Not valid with any other offer. Limit one credit per loan transaction. All loans subject to credit approval and standard underwriting. Certain fees and restrictions may apply. Offer expires 12.31.19. Whidbey Island, a decision that also increased landing practice at the Outlying Landing Field in Coupeville, just across Admiralty Inlet from Port Townsend. Wooden Boat Festival and other events. We live in the community too and want to be a good neighbor.” Gray’s command covers 11 western states: Washington, Oregon, Idaho, Montana, Wyoming, North Dakota, South Dakota, Nebraska, Minnesota, Iowa and Alaska. “We’ve done a lot to quiet the Growlers,” Gray said. “We’ve spent a lot of money on technology and put in a lot of effort to reduce the number of airplanes to the minimum. He’s based at Naval Base Kitsap-Bangor for the next 16 months but calls Virginia home. He began his commission in 1989 and during his service logged more than 500 carrier- arrested landings and 2,800 flight hours in tactical aircraft. He assumed his duties as commander of the Northwest region in June, 2018. Rear Adm. Scott Gray meets with Jefferson County Commissioner Kate Dean and County Administrator Philip Morley to discuss the impacts NAS Whidbey Island operations have on Jefferson County. Linds creates colorful wedding rings with beautiful gemstones set in 14 karat gold with diamond accents. Linds gems from around the world include sapphire, emerald, imperial topaz, spinel, zircon, tanzanite and many more set in yellow, white, or rose gold. The possibilities are endless! Make your Jewelry dreams come true… Register your favorite jewelry items on LINDS WISH LIST. broken leg, this time a 45-yearold man. The SAR team returned to NAS Whidbey Island for refueling then flew back to Schreiber’s Meadow. At about 3:40 p.m., the team found the patient at a location less than a mile from where the first patient had been found. conducted a medical evacuation from Forks, Wash. The second patient was hoisted aboard the helicopter and flown to PeaceHealth St. Joseph Medical Center, where they landed by 4:20 p.m. The SAR unit was contacted at approximately 5:15 a.m. to medevac a woman from Forks after it was determined no civilian rescue services were available. The SAR helicopter launched and by 7:20 a.m. the patient was loaded onto the helicopter in Forks and flown to Harborview Medical Center in Seattle, where the team landed at 8 a.m.
from NAS Whidbey Island as search and rescue/medical evacuation platforms for the EA-18G aircraft as well as other squadrons and personnel assigned to the installation. Pursuant to the National SAR Plan of the United States, the unit may also be used for civilian SAR and medevac needs to the fullest extent practicable on a non-interference basis with primary military duties, according to applicable national directives, plans, guidelines and agreements. South Whidbey Community Church A place to begin… A place to belong! 5671 Crawford Rd, in Langley, just off Hwy 525 www.unityofwhidbey.org We welcome you to our Sunday Worship Celebration at 10AM. Potluck on the ﬁrst Sunday of the month. While Unity is considered practical Christianity, we embrace many of the sacred teachings throughout the world. Join us for supportive and inclusive spiritual community. each airfield “operation” is defined as either a takeoff or landing under this scenario, about 12,000 FCLP “passes” would occur annually at OLF Coupeville. This change amounts to an increase from approximately 90 hours (1 percent of total hours per year) to 360 hours (4 percent of total hours per year) in aircraft activity at OLF Coupeville. An EA-18G Growler pilot practices aircraft carrier landings at Outlying Field Coupeville. Operational levels at Ault Field and OLF Coupeville have varied historically depending on Navy mission requirements. Projected operational levels from implementation of Alternative 2A will be comparable to historic flight operations experienced from the 1970s through the 1990s at NAS Whidbey Island complex. The implementation of Alternative 2A will include measures that reduce noise impacts in the community, including the mitigation measures identified in Appendix H of the Final EIS and the use of Precision Landing Mode (PLM, a.k.a. MAGIC CARPET) to reduce the overall number of FCLPs compared to the number proposed in the Draft EIS. The Navy will continue to invest in new technologies to reduce aircraft engine noise. The Navy has and will continue to coordinate with appropriate federal regulatory and state resource agencies and comply with appropriate permits and reporting requirements. Yale hired landscaper Bruce Bell to clear a few acres of his rural property off French Road. Like many parcels on Whidbey, it’s overrun with heavy brush and invasive species, including blackberries. He wanted them gone but didn’t want to overly tear up the property either. Bell was a natural choice. environmental price — usually the removal of a top layer of soil — and without the clean up. After clearing, property owners usually have to pay for removal of debris and or burning. The forestry mulching machine requires neither. “You’re getting the best of both worlds,” Bell said. Goats are the super-green method of property clearing, one that many on Whidbey have turned to. But these living, breathing munching machines can’t take down larger trees, and their work takes time. Bell says he can usually clear an acre in about two hours. Bell set up shop in 1994 after a long career in retail sales. He bought the forestry mulching machine about 12 years ago as way to break into the clearing business, but doing it in what he says is a more environmentally friendly way. “It’s really important to me to better Whidbey Island,” he said. While private property owners make up the bulk of his business, he’s also been employed by organizations such as the Whidbey Camano Land Trust. Jessica Larson, a land steward for the nonprofit, said Bell was hired to clear about five acres for the Dugualla Bay restoration project on North Whidbey and about three acres for restoration of the Waterman Property on South Whidbey. Larson said Bell’s work was desirable for several reasons. Saving a layer of top soil and avoiding the need to burn aligns with the trust’s environmental values. Similarly, the machine is small enough that it can avoid native species; Bell took the time to walk through the properties with land trust project leaders to mark plants that should be spared. The result was successful, selective clearing. Larson also noted that blackberries are no fun, not for the organization volunteers who often are tasked with their removal, or herself. It’s tough and grueling working that takes a long time. “They’re kinda the bane of my existence,” Larson said with a chuckle. Along with the forestry mulching machine, Bell also has a flail mower on an excavator that produces a similar result. It’s attached to an extendable arm that can reach places the forestry mulching machine can’t, such as steep inclines or slippery hillsides. Bell’s business is based in Freeland, but he does work all over Whidbey Island. He can be reached at 360-331-6254. AND MENTION THIS AD TO RECEIVE YOUR DISCOUNT! Overwhelmed by the thought of joint replacement? SwiftPath is a comprehensive, state-of-the-art joint replacement program using proven methods. MINI STORAGE New Space AVAILABLE NOW! Some Just Like A VAULT! To sell the item quickly, include important information about the item: price, age/condition, size and brand name. 2. Include Your Phone Number And Specify Hours. You want to make it as easy as possible for the potential customer to reach you. 3. Don’t Abbreviate! Hve U Evr trd to rd an ad w/ abb’s? It’s difficult to decipher, and most readers won’t take the time to figure it out or call to ask what it means. SPELL IT OUT! “Service you deserve with people you trust” We have 5 ofﬁce locations to serve your needs. Serving Island and Skagit Counties. 4. Run Your Ad For Several Weeks. To get the best results, run your ad for several weeks. New buyers look to the classified marketplace every day. If you run your ad only one week, you may miss a potential buyer. What is only a few inches tall and can move almost anything? ...an ad in Sound Classifieds! Are you searching for a better job or more reliable car? Have you outgrown your apartment? Are you looking to get rid of that old couch and chair sitting in the garage? Whether you are buying or selling, Sound Classifieds has it all. From automibiles and employment to real estate and household goods, you’ll find everything you need in the Sound Classifieds. Are you searching for a better job or a more reliable car? Have you outgrown your apartment? Are you looking to get rid of that old couch and chair sitting in the garage? 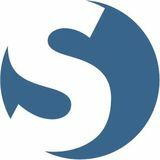 Whether you’re buying or selling, Sound Classifieds has it all. From automobiles and employment to real estate and household goods, you’ll find everything you need in the Sound Classifieds. Put Sound Classifieds to work for you, and inch even closer to your goals. "The best car buying experience I have ever had. It’s important, especially as a woman to feel comfortable and confident when buying a car. I had a terrible experience purchasing my last car from a different ford dealership but I highly recommend frontier ford. Very satisfied with the customer service. I worked directly with a salesman and a manager simultaneously and both were a pleasure to deal with. Thank you!"